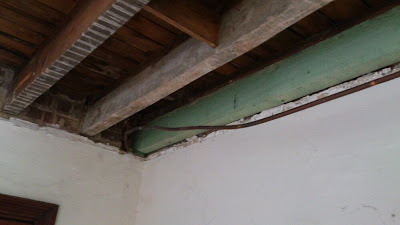 The roof guy came over today to install two new beams, since the old ones had rotted. 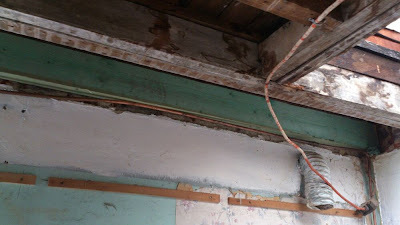 The treated, green beams are new. The rest are fine. Next, they'll change the roofing, add insulation, and renovate the rain gutters.